Remember my post about why I didn’t go all DIY when it came to painting the house? No? Go back and read it! It’s one of my most popular posts to date. Although I thought my door stripping post that followed was some of my best low brow material… ever. The analytics on that post disagree. I digress. Flashback a few months before the house was painted and I had yet another DIY project I contracted out. This time is was new gutters. Between the time saved, the gutter upgrade (especially compared to the smashed ones that never drained) not to mention the extremely reasonable price I was quoted, it was a no brainer to “not” to do-it-myself. 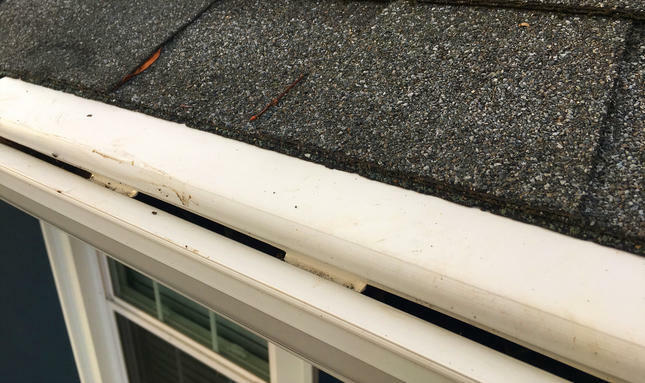 Left unchecked (like my mind that often goes into the gutter) you’ve got some basic maintenance and TLC to keep those gutters running (and draining) smoothly. First things first, “gutters need clean’in” (or at least that’s how I imagine everyone’s grand pappy telling them). I hate cleaning gutters. 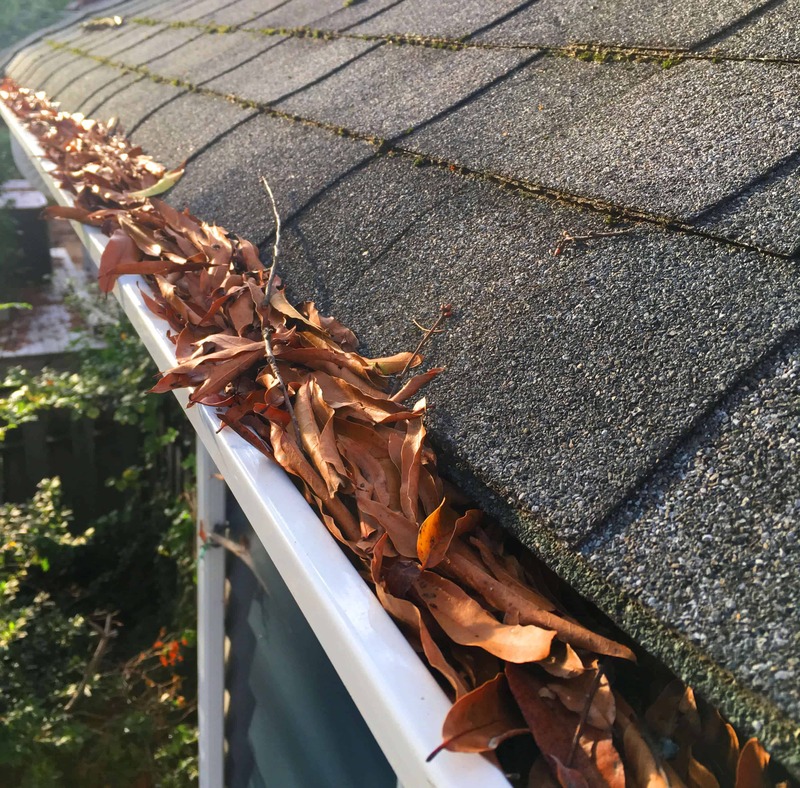 Most of that annoyance comes from our old awful gutters that were folding in on themselves and were near impossible to get your hand into to clean out the amount of detritus that builds up over a short period of time. Once again I shake my fist at the massive Willow Oak that so nicely shades our house in the summer but dumps an ungodly amount of leaves on our house in the fall. Not to mention branches and limbs in storms. Those same leaves are the bane of my gutter cleaning existence. They are thin and small. They aren’t easy to rake up or clean up. Leaves like these cause clogs on the regular so you’re unaware of said issue until you see sheets of water pouring over your gutters like Niagara Falls. Which in turn goes down around your foundation and through your basement walls because houses in our neighborhood have flooded basements like no other (leave that laundry basket on the floor once and you’ll regret it). The new gutters are easier to clean out which is nice, but gutter cleaning time is usually when it’s cold and wet out, so you need something to keep your hands warm and dry. 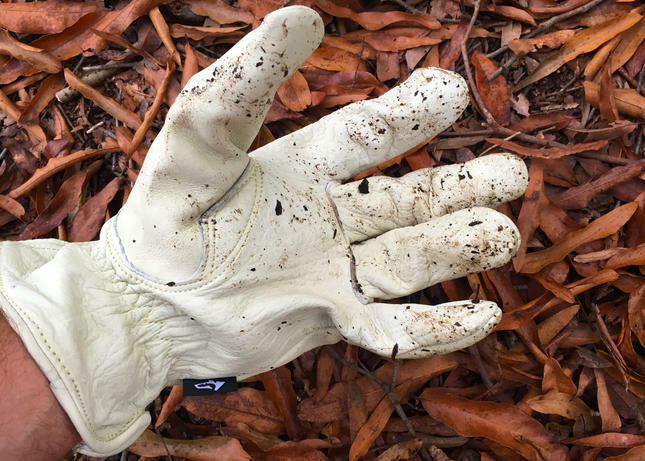 Husky’s Water Resistant Leather Work Glove (*affiliate link) are a gutter cleaning essential because they are durable enough to withstand the wear and tear of catching the edge of the shingles or the gutters themselves and are water resistant enough to keep your hands nice and dry. If you’re lucky enough to have the right kind of leaves (sort of like the perfect snow for a snow blower) then you can also try using a leaf blower to clean out your gutters (or blow out your downspouts!). A nice and powerful one (and cordless!) 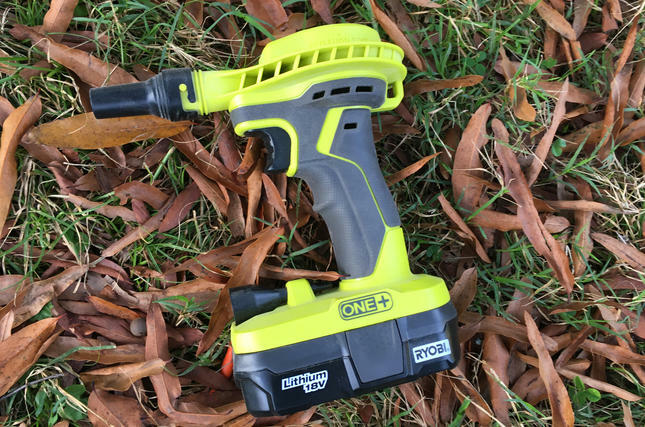 like my Ryobi One+ Jet Blower (*affiliate link) is great when the leaves are dry. When your gutters are improperly angled for draining… then it just splatters gunk all over you and your nicely painted house. It’s like Jackson Pollack! As much as I enjoy our new gutters, we did have an issue with them. One of the end caps didn’t seal properly when installed which meant water was gushing out of the end and once again, right down to our foundation. Short of smacking on it during the rain and hoping it stuck closed, I did some emergency triage on the gutter that so far seems to have held well (for now). Knowing the rain had temporarily subsided (until the next round of storms) I made one of my many Home Depot trips of the weekend and picked up a tube of SeamerMate Gutter Sealant (*affiliate link) . Armed with a ladder, paper towels, the sealant, a pen light and a battery powered inflator I showed the gutters who was boss. What’s with the odd balls? 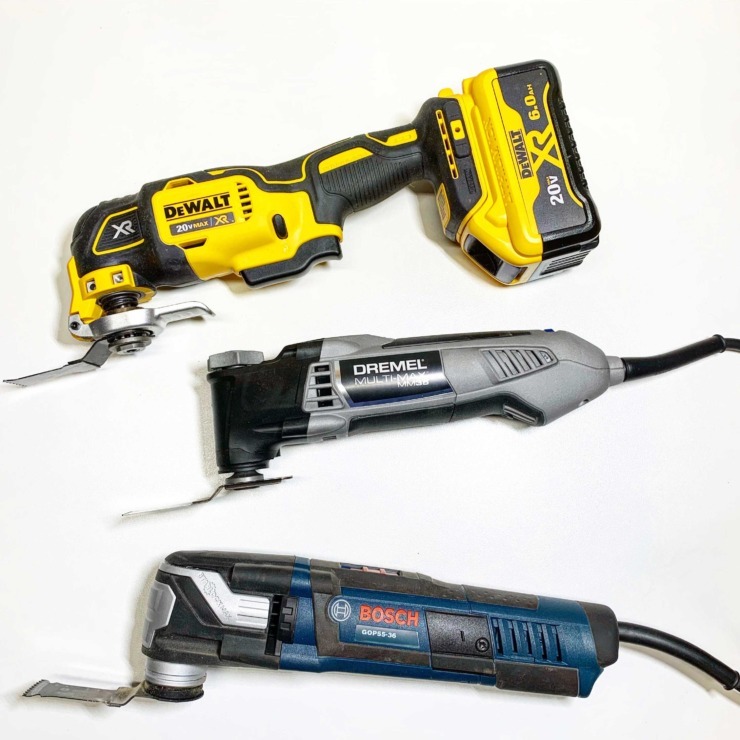 This is what I call a “happy accident” because there were some well-timed unconventional products in my Tool Review that fell perfectly in place like the Milwaukee 100 Lumen Pen Light (*affiliate link) and the Ryobi One+ High Powered Inflator(*affiliate link) . 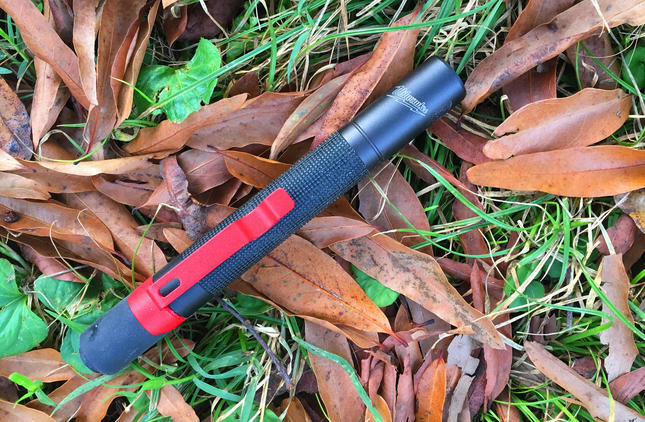 With it starting to get dark because of you know… fall sunset times and a gloomy day, the Milwaukee Pen Light was a perfect grab because every person who has every needed two hands and hold a flashlight has tried to bite the end and strategically shine it on your work. 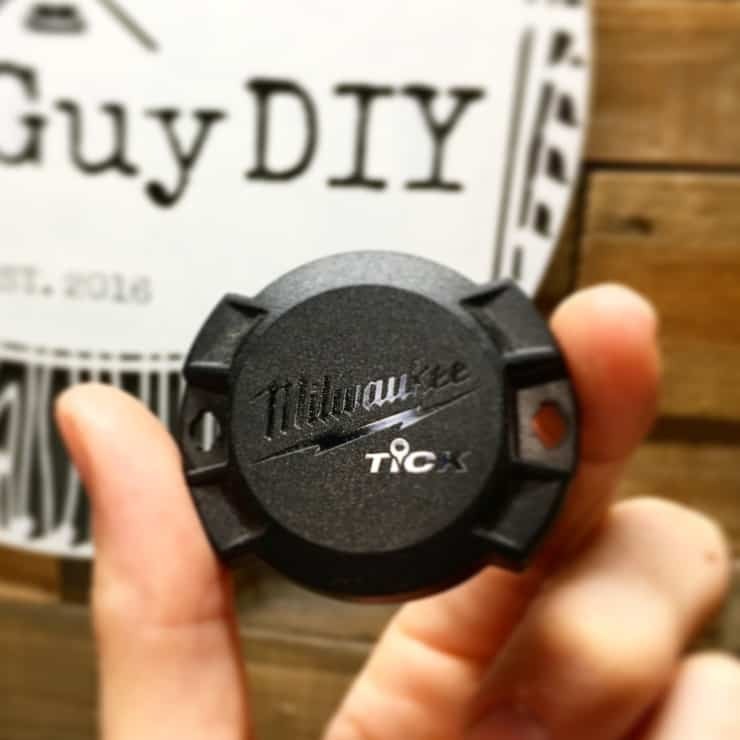 I have a weird thing about teeth biting metal (that gives me goosebumps just thinking about it), but Milwaukee has me covered because the light has a rubber bite zone on the end of it. I saw other people reviewing this flashlight and I was incredibly confused about why bearded men where provocatively biting a flashlight… it all makes sense. So what about the Ryobi One+ High Powered Inflator? The gutter seam needed to be dry to apply the sealant and while I have been using the inflator to clean dust off my builds before apply finishing or paint (or blowing up a few of my daughter’s inflatable toys), this pistol sized tool was perfect to air dry the surface. A few globs of the sealant later with enough time to let it dry and we were in business. No more end cap leaks. A few weeks later and guess what? The gutters are full of leaves again (Is there no end to this madness?). You’d think this process would end in the spring or summer as well. You’d be wrong. The tree of course sheds pollen and little green stringy things that fill up the gutters just as much as the leaves do, so you know what? I quit. No more. Screw you gutters, you’re on your own. Well not exactly. I went online and ordered several stacks of Amerimax 4ft. Section Gutter Covers (*affiliate link) to be delivered to my house. This is a long time coming. At around a $1.00 a foot this is a low cost investment that’s going to save me hours of heartbreak and annoyance. They snap right onto my new gutters and slide right underneath my shingles. There are of course a ton of different options for gutter guards, but after testing a spot of the roof out for a couple weeks (and having it not rain for 99% of that time) I went ahead and pulled the trigger on this brand and type. The install was extremely easy. The only difficult part is when you reach a corner you need to cut a 45 with a little overlap so you won’t have leakage. You can use either metal shears or a miter saw. I’ll keep you all posted as to how they hold up, but so far so good. 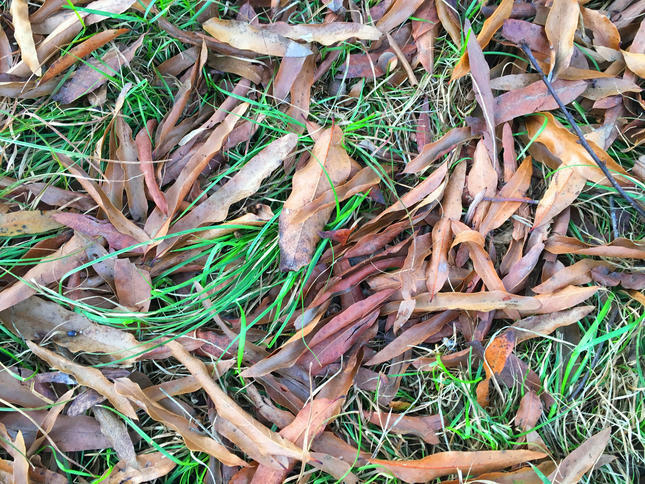 With the leaves continuing to fall (but now, not so much in the gutters) my newest task is raking up more leaves. What do we think? Gas powered leaf sucker for my next review? One can dream. Ha! 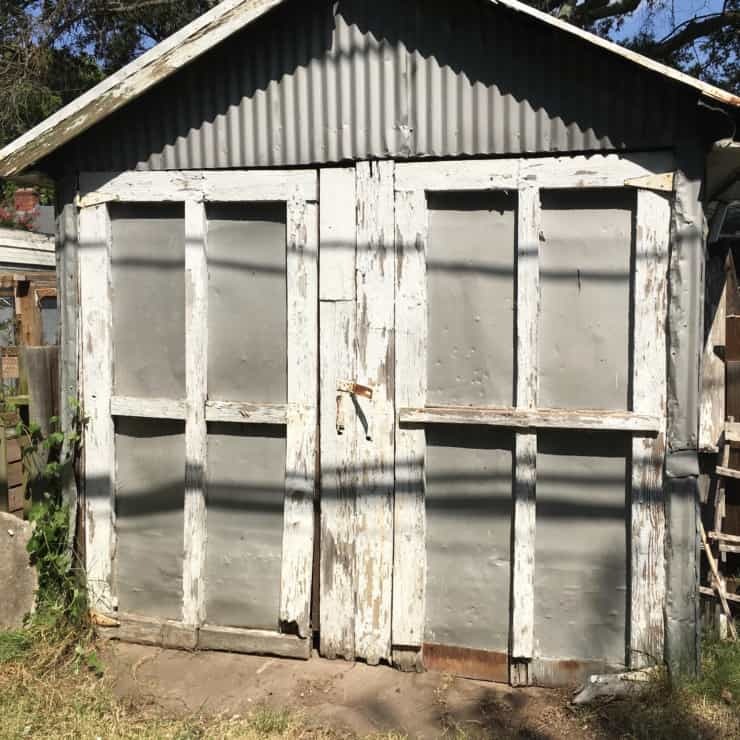 *This post has been sponsored by The Home Depot as part of The Home Depot Prospective Review. I have been compensated for my time and provided with product in exchange for my opinion. My opinion is my own. And my opinion and I both agree that cleaning gutters is the worst.